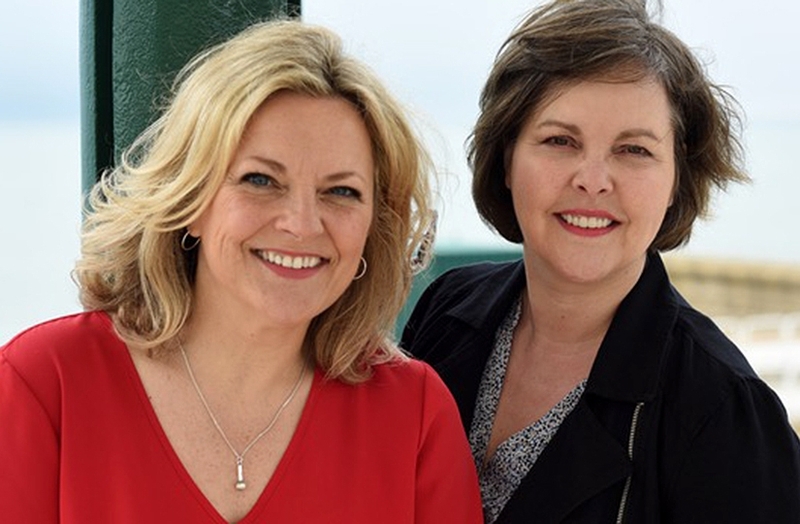 We're happy to announce that Claire Martin OBE & Elaine Crouch will be presenting a vocal jazz workshop here at the 606 Club on 9 March. Participants will be introduced to the basic principles of vocal jazz, including: style, song form, keys, repertoire, time, jazz vocabulary, listening & practice tips, phrasing, interpretation, improvisation, counting in and stagecraft. Can you tell us how you first met and how your collaboration came about? E: I was just finishing 4 years studying jazz at Chichester College and I begged my then tutor Julian Nicholas to let me help at the first South Coast Jazz Festival. He introduced me to Claire, we hit it off both professionally and personally and have worked together as often as possible ever since. C: I met Elaine through Julian Nicholas and she became a truly brilliant member of the South Coast Jazz Festival team, her passion for jazz was boundless and we became good friends as the festival unfolded. We share a similar work ethic and sense of humour and everything we work on together is extremely professional and a lot of fun. A winning combination. Tell us more about the workshop. E: Having studied jazz vocals as a complete newcomer to the genre, I know how difficult it can be to understand the vocabulary, the history and the styles and how much of a barrier this can become to learning. I wanted to develop a workshop that goes back to basics and demystifies some of the myths in a supportive environment where nobody need worry about asking questions. The combination of myself as a former student and Claire as a world class vocalist (you couldn’t learn from anyone better) will ensure that everybody really gets maximum benefit from these sessions no matter what level they’re at. Even experienced performers may benefit from going right back to the beginning and reinforcing their knowledge and establishing good listening habits and practice techniques. C: Elaine and I teach at the Guildhall School of Music and Drama and we wanted to break down our day long courses into more manageable ‘chunks' for singers. The 606 is an ideal central place to hold these sessions as it’s a chance to demonstrate much of what we teach such as stage craft and mic technique in the atmosphere of a real jazz club. I’m looking forward to welcoming all sorts of singers from absolute beginners to more established vocalists. In fact it doesn’t matter if you don’t sing at all and you’d just like to expand your knowledge of jazz vocals and explore new music and musicians within the genre. What kind of insider knowledge will you reveal? Both: With our combined experience we will 'cut to the chase' and get to the ’nuts and bolts’ of jazz vocals. We will offer short cuts where appropriate and share tips that Claire has learned (the hard way!) over 30 years as a professional singer. What is it about your workshops that you most enjoy? E: I fell in love with jazz unexpectedly and I love being able to share what I have learnt about the genre. It’s never too late to enjoy learning or jazz music and this is the ideal opportunity to help people to do both. C: I love the supportive nature of workshops and the group vibe. I try to make them as relaxed yet informative as possible. Introducing new listeners to the singers that I still learn from is always a thrill. What do you hope people leave the course feeling? C: More confident about their understanding of jazz music. What does 2019 hold in store for you both? E: I will be managing some large projects next year including two big band tours which is very exciting. C: My new album "Believin’ It" is released in April and I am looking forward to going on the road with my Swedish trio. The celebrated trombonist and arranger Callum Au has invited me to be featured vocalist on his highly anticipated orchestral album (for release early 2020) and we will start recording that in February.